Wellbutrin, generic name bupropion, is an oral prescription medication available in two formulas: SR, standard release and XL, extended release. According to eMedTV, Wellbutrin is typically used to treat major clinical depression and works by altering the levels of dopamine and norepinephrine in the brain. Over time, it was noted that one of the side effects of Wellbutrin is weight loss. Currently, it may be prescribed in some instances to aid in weight loss. According to PubMed Health, researchers at Duke University conducted a study to determine the weight loss characteristics of Wellbutrin in obese adult women. Along with a 1,600-calorie-per-day balanced diet, participants were given Wellbutrin or a placebo. 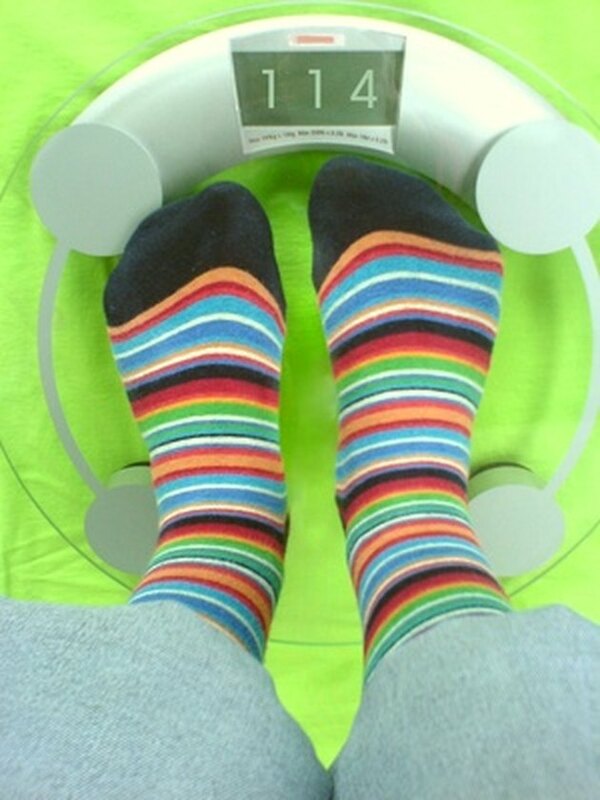 It was determined that those who received the Wellbutrin achieved a weight loss over 5 percent of baseline body weight. Although the exact mechanism for losing weight while taking Wellbutrin is not known, it is suspected that it is linked with the loss of appetite and nausea experienced by some who take it. Drugs.com states that Wellbutrin XL, especially in higher doses, has been associated with an increased risk of developing seizures. There are some factors that can increase the risk of developing seizures while taking Wellbutrin, including a history of head trauma, cirrhosis of the liver, anorexia and excessive consumption of alcohol. While taking Wellbutrin, any increase in dosage must be strictly monitored by a physician. According to eMedTV, up to 31.9 percent of people taking Wellbutrin can experience agitation. Along with agitation, some taking it may experience feelings of anxiety as well. Other central nervous system side effects include dizziness, confusion, uncoordinated or jerky movements and increased sweating. Do not drive or operate any machinery when first starting treatment with Wellbutrin. Wellbutrin may cause some taking it to experience sleep disturbances. According to GlaxoSmithKline, manufacturers of Wellbutrin, 11 to 16 percent of those taking Wellbutrin SR experience sleep disturbances. The chance of sleep disturbances increases with dosage. Sleep disturbances experienced while taking Wellbutrin include sleeping poorly, waking in the middle of the night, inability to fall asleep or waking up too early. It is possible for some taking Wellbutrin to develop a serious allergic reaction, anaphylaxis. Anaphylaxis is a medical emergency that requires immediate treatment. According to Drugs.com, the signs of a severe allergic reaction include an itchy skin rash with hives, facial swelling, difficulty breathing and swallowing and swelling of the mouth, tongue and throat. Take Wellbutrin exactly as described and discuss any dosage changes with a physician.